You are here: Home / Skincare / Aromatherapy/Essential Oils / Essential Oil of the Month: Ravensara! Ravensara Aromatica. Its Essential Oil Is Praised In Madagascar As The “Cure All” Oil! Essential Oil of the Month: Ravensara! Ravensara Aromatica. Its Essential Oil Is Praised In Madagascar As The “Cure All” Oil! The health benefits of Ravensara Essential Oil can be attributed to its properties like analgesic, anti allergenic, anti bacterial & anti microbial, anti depressant, anti fungal, anti septic, anti spasmodic, anti viral, aphrodisiac, disinfectant, diuretic, expectorant, relaxant and tonic. Ravensara aromatica (sometimes called clove nutmeg) is a member of the Lauraceae (laurel) family, and originates in Madagascar. The name ravensara is a latinization of the Malagasy word ravintsara. Other Malagasy names include havozo, hazomanitra and tavolomanitra. The leaves and twigs of R. aromatica have a mildly camphorous aroma similar to eucalyptus. The essential oil of R. aromatica is used as a fragrance material in the perfumery industry, and as an antiseptic, anti-viral, antibacterial, expectorant, anti-infective in natural and folk medicine. Botanists have now identified that most of the Madagascar oil is Ravintsara (Cinnamomum camphora), not Ravensara aromaticum. Ravintsara oil tested by GC-MS reveals that 1,8-cineol eucalyptol) is the main constituent not methyl chavicol (estragole). Eucalyptol is the main ingredient in most oils that nourish and heal respiratory complaints! Ravintsara oil contains over 50% eucalyptol! Also, there are oils taken from the bark which can contain up to 90% methyl chavicol which is less desirable and has different medicinal properties (nervous system). The oil from the leaf contains 48-61% 1, 8 cineole. This time we are going to deal with a star from nowhere other than Madagascar, that beautiful place. Doesn’t it sound thrilling? Yes! Ravensara is a big tree of rain forests of Madagascar and its botanical name is Ravensara Aromatica. Its essential oil is praised in Madagascar as the “Cure All” oil, same way as tea tree oil is praised in Australia. Ravensara holds a place in the traditional medicine system of Madagascar and has been in use for centuries as a tonic and for fighting infections. The modern studies on this oil has revealed its many other medicinal values. Let us see what they have discovered so far. Analgesic: The analgesic property of Ravensara Oil makes it an effective remedy for many types of pain including toothache, headache, muscular and joint pain, pain in ears from cold etc. Anti-allergenic: This oil itself is non sensitizing and non irritant and it reduces the allergic tendency too. Gradually, it builds resistance against allergenic substances and hence the body does not show hyper reactions against them. Antibacterial & Antimicrobial: Some of the most notorious bacteria and microbes cannot even stand the very presence of this essential oil. They fear it like anything and there are sufficient reasons behind that. This oil is fatal to the bacteria and microbes and wipe out their whole colonies. It inhibits their growth, cures old infections and stops new infections. So, it can be used against diseases resulting from bacterial and viral infections such food poisoning, cholera, typhoid etc. to aid treatment. Antidepressant: This oil is very good in countering depression and giving a boost to the positive thoughts and hope. It uplifts mood, relaxes mind and invokes energy and feeling of hope and joy. This, if systematically administered to patients to chronic depression, can help them gradually come out of the situation. Antifungal: Like on bacteria and microbes, this oil is very harsh on fungi too. It ends their growth and even kills their spores. Hence it can be used against fungal infections in ears, nose, head, skin and nails. Antiseptic: Septic is caused by a type of bacteria called Staphylococcus Aureus, which mainly infects open and unprotected wounds and also soft and delicate internal organs. Septic is a big threat on lives of the newly born babies, as their skin is too delicate to withstand any infection. Still, thousands of babies die due to septic. This bacterium spreads very rapidly and covers the whole body, causing acute pain in the muscles, cramps, abnormal muscular afflictions and contractions, convulsions, fever and swelling. The Essential Oil of Ravensara has certain components like limonene and methyl eugenol (and others) which do not let this happen by killing this bacterium and inhibiting its growth. It can be ingested to let its effect spread evenly in the body. Antispasmodic: Those who are suffering from severe cough, breathlessness, cramp, diarrhoea, pulling pain in abdomen and nervous afflictions, convulsions etc. due to spasm, can avail a good remedy from this oil. It fights spasm and induce relaxation in muscles and nerves. Antiviral: This efficient bacteria fighter is a virus fighter too. It stops viral growth by rupturing the cyst (the protective coating on the virus) and then killing the virus. It is very good in fighting diseases caused by virus such as common cold, influenza, measles, mumps, pox etc. Aphrodisiac: The Essential Oil of Ravensara has been found good in curing particularly frigidity. It enhances libido and also helps cure erectile dysfunctions etc. Disinfectant: Who causes infections? Who else but bacteria, fungi, virus and protozoa. Then it is quite clear that who will be a disinfectant. Yes! One that can stop growth of these bacteria, fungi, virus and protozoa and can eliminate them will be an ideal disinfectant. Here is one such. The Essential Oil of Ravensara is capable of inhibiting all types of infections discussed above and this makes it an effective disinfectant. It is equally effective internally and externally. It also disinfects the space within its reach if used in fumigants, vapourizers and sprays. The added benefits are a sweet fragrance and no adverse side effects like synthetic disinfectants. Diuretic: The diuretic property of Essential Oil of Ravensara facilitates removal of waste substances and toxins from the body by increasing urination, in frequency and in quantity. It also helps remove excess water, salt and fat from the body, thus keeping it safe from diseases associated with accumulation of toxins (e.g. rheumatism, gout, arthritis, acne, boils etc. ), water (edema), salt (hypertension, water retention etc.) etc. in the body. Further it makes feel lighter and facilitates digestion too. Expectorant: Expectoration is the process of diluting or loosening the phlegm or catarrh deposits in the respiratory system and easing its way out of the body. It is needed in cases of coughs, congestion, asthma & breathing troubles and heaviness in the chest arising due to hardening of phlegm in the bronchi, trachea, larynx, pharynx and lungs. Relaxant: The Essential Oil of Ravensara is known for centuries due to its relaxing and soothing properties. It is very good in inducing relaxation in cases of tension, stress, anxiety and other nervous and neuro problems. It also calms and soothes nervous afflictions and disorders. Its relaxing effect helps bring sleep to the patients of insomnia. Tonic: The Essential Oil of Ravensara has a toning and fortifying effect on the body. It facilitates absorption of nutrients in the body and helps every organic system function properly. This way it promotes growth and gives energy and strength. This oil is particularly good for growing children as a growth tonic. Other Benefits: Ravensara Oil has numerous other benefits. It can be used to treat improper blood and lymph circulation, fatigue, pain in muscles and joints, edema, indigestion, shingles, herpes etc. It also has vulnerary property and helps heal wounds faster by protecting them from infections and crowding leucocytes and platelets in the affected place. Blending: The Essential Oil of Ravensara blends well with a number of essential oils, like those of bay, bergamot, black pepper, cardamom, clary sage, cedar wood, cypress, eucalyptus, frankincense, geranium, ginger, grapefruit, lavender, lemon, marjoram, pine, rosemary sandalwood, tea tree and thyme. 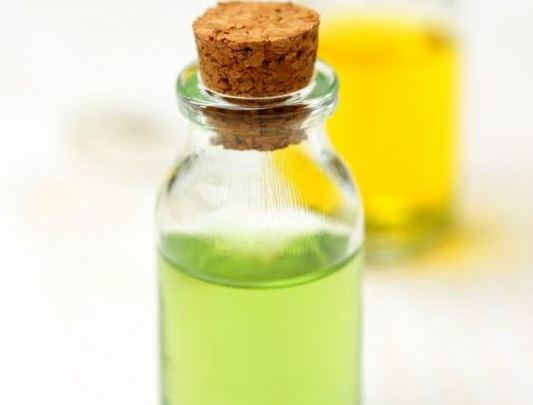 Essential Oil should not be applied directly to the skin but in carrier oils, putting the oils directly on the skin is too harsh due to their concentrated form. Add a few drops of Ravensara essential oil to the carrier oil. If you are pregnant, receiving cancer treatment,or have a weakened immune system the use of essential oils is not recommended! While I’ve attempted to use credible sources for information, this is not intended to be a substitute for professional medical advice or treatment. If there is a disparity between the information presented within this blog and the advice given by your medical professional, please follow the medical professional’s advice as he/she will know you and your medical circumstances. These statements has not been evaluated by the Food and Drug Administration. This information is not intended to diagnose, treat, cure or prevent disease.